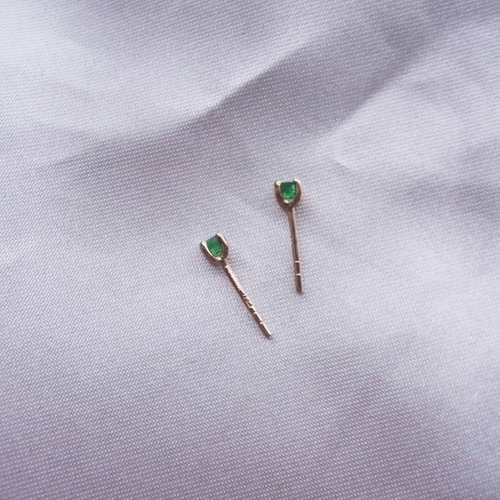 This pair of earstuds are made in 18K red gold with one emerald in each earstud. 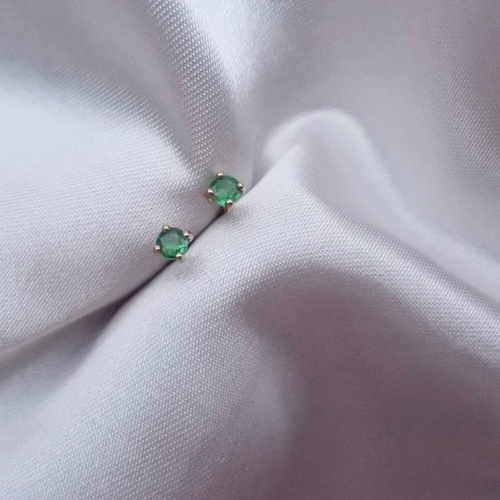 The emeralds are 3mm wide. This pair is in stock, ready to be delivered. This pair of earrings will be sent to you in 2-5 working days.